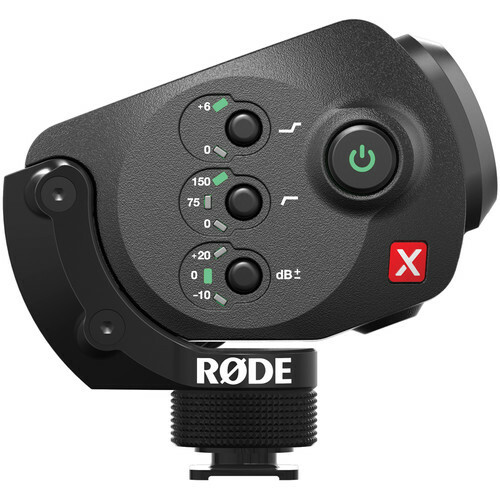 For capturing audio the Stereo VideoMic X by RODE Microphones offers professional quality. It can be used as an on-camera mic in various environments, for applications such as interviews, weddings, sports and nature shoots, and more. It features a matched pair of 1/2″ condenser capsules configured in a stacked X-Y configuration with cardioid polar patterns, a 40 Hz to 20 kHz frequency response, and 9V battery or 48V phantom power. 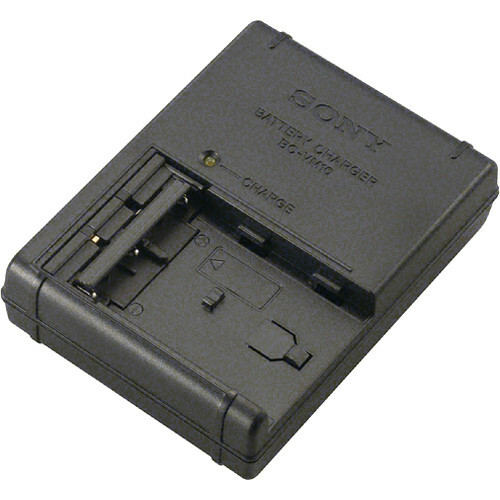 It is built with a balanced mini XLR (TA3F) output connector, and an unbalanced 1/8″ output stereo mini jack plug. 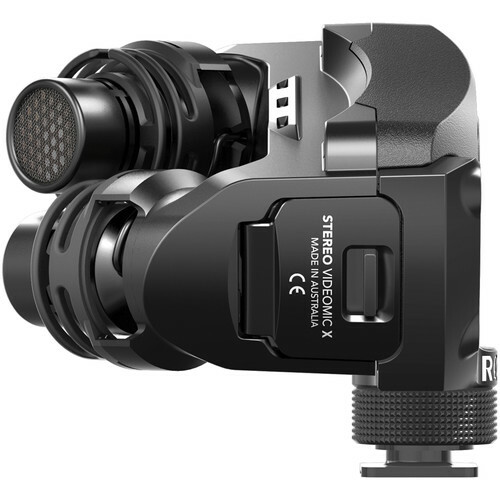 The Stereo VideoMic X can deliver professional-grade audio and gets the job done when capturing audio in various environments. 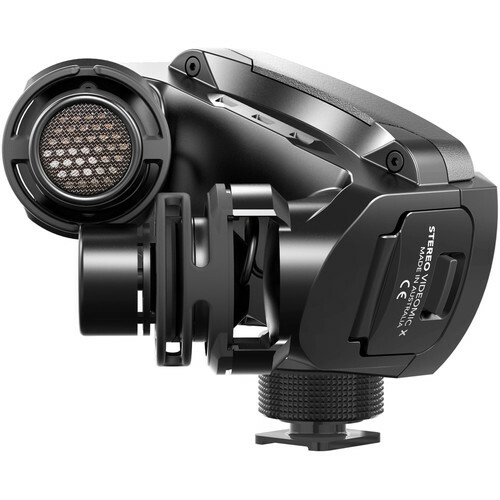 The VideoMic features digital switching on the rear that allows the user to control level adjustment, high-pass filter, and high-frequency boost to increase intelligibility of dialogue. 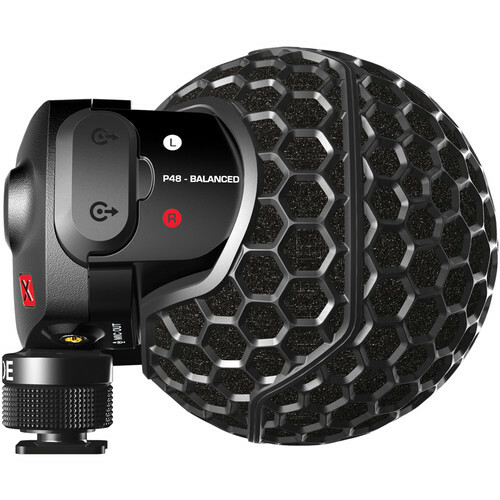 The enclosure is constructed of a lightweight aluminum, and, inside the enclosure, the capsules are supported by the Rycote Lyre shock-mounting system, providing isolation from vibration as well as knocks and bumps. 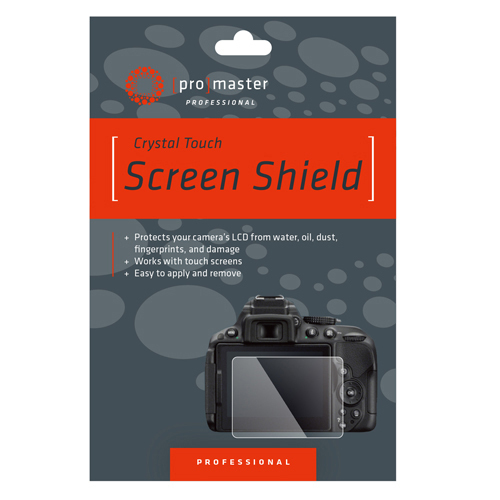 In addition, a pop shield and wind shield is included. The Stereo VideoMic X is the ultimate broadcast-grade stereo microphone for on-camera use. Utilising all-metal construction, it is incredibly robust making it ideal for regular professional use, while also providing high levels of resistance to RF interference. The mic features a matched pair of ½" true-condenser capsules, configured in a stacked X-Y configuration, providing a highly-immersive soundscape. 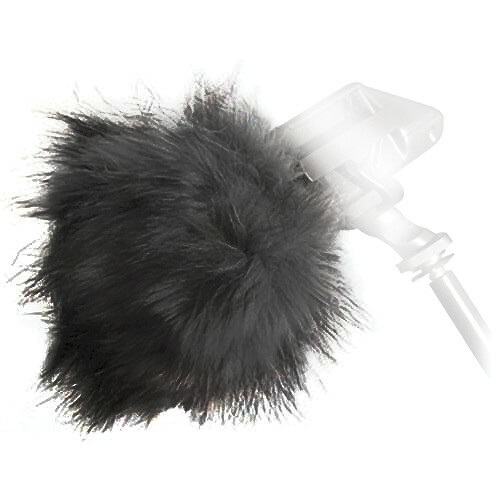 Each capsule is supported by the Rycote® Lyre® shock-mounting system, providing isolation from vibration as well as knocks and bumps. Digital switching on the rear of the SVMX allows the user to control the level adjustment (-10dB or +20dB), high-pass filter (0/75/150Hz) and an innovative high-frequency boost (+6dB @ XHz) designed to boost the intelligibility of dialogue. 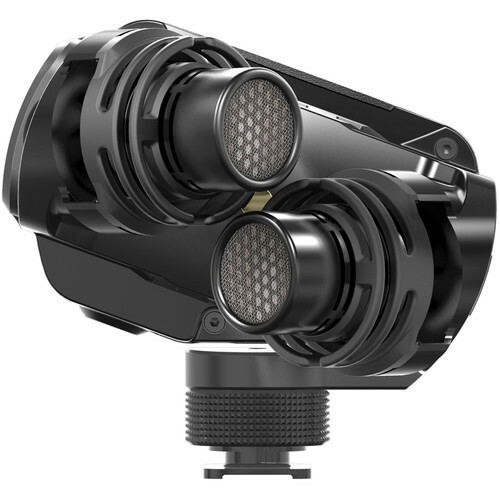 In a first for the VideoMic range, professional-grade balanced outputs are available on the side of the body, in addition to the RF shielded 3.5mm stereo output cable. An outer dome structure provides physical protection for the sensitive capsules, while reducing wind noise in the same manner as RØDE's RedDot-winning Blimp.